July 28, 2017 June 29, 2017 / Julie Brook, Esq. When the meaning of a term significantly affects the will’s interpretation and a misunderstanding may lead to confusion, conflict, or even litigation, consider including a bespoke definition clause. 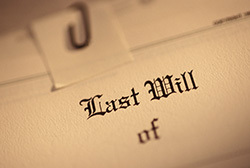 The definitions should provide the personal representative (or testamentary trustee) with clear directions for the distribution even though many years may have passed between the execution of the will and the testator’s death. Gifts are made to a class. For example, when the testator refers to “children,” are children of all the testator’s marriages included? Children born outside of marriage or adopted? Stepchildren? Does “spouse” include a spouse in the process of divorce or a former spouse with minor children? A spouse living apart from the testator or a beneficiary? A registered domestic partner? The statutory rules of construction don’t reflect the testator’s intentions. For example, the testator might not want to include stepchildren in the class of “children,” but stepchildren would be included in this class under Prob C §§21115(a) and 6408. Or, the testator wants to benefit the testator’s former spouse even though the former spouse is not a “surviving spouse” under Prob C §78. There is no statutory definition. For example, if distributions are to be made for the child’s education, are graduate school expenses included? For how long? Does a “charity” need to be one that qualifies for a tax deduction? Definition clauses are generally added close to the relevant clause in a will. Keep in mind that the testator may want different definitions to apply to different provisions. For example, members included in class gift provisions are usually described in the portion of the will making class gifts, although “children” are usually defined in a family declaration at the beginning of the will. Trust distribution terms are usually defined in the sections describing the testamentary trust, tax terms are usually defined in tax payment or tax election clauses. Don’t bury tailor-made definitions in boilerplate! Keep in mind that there’s a risk in using a definitions clause. Be sure that the will doesn’t inadvertently contain any use of the defined term that’s inconsistent with the definition. For expert guidance on all aspects of will drafting, turn to CEB’s California Will Drafting. 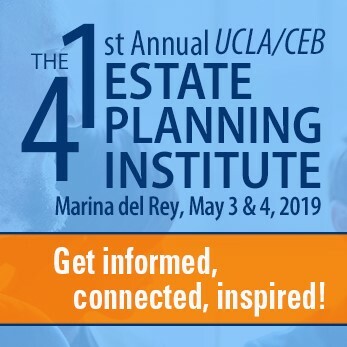 Also check out Drafting California Revocable Trusts, chap 18. CEB’s program The Simple Will Drafting Process takes you step by step through the process of drafting a will. ← Do You Know When to Use a Subpoena?